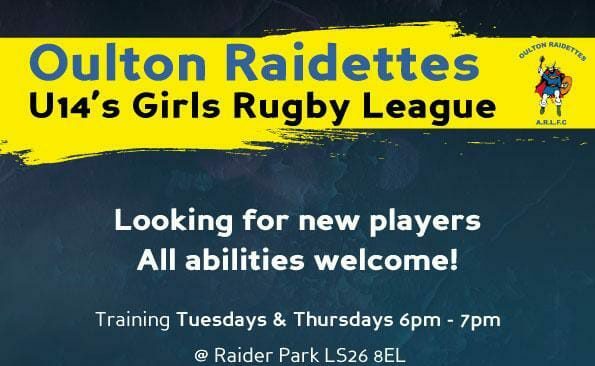 The Oulton Raidettes U14’s were formed in early 2017 and competed last year in the girls’ league winning 8 games and losing 1 finishing top of the Division 2 table. With Matthew Bullough taking on the U19s girls academy at Leeds Rhinos Oulton have sought new coaches for the 2018 season for the Women and Girls section. Here we look at the U14s and how they are coming along. 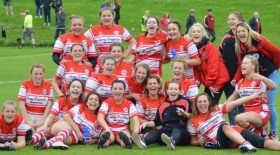 The Oulton Raidettes U14’s coach is Rich Casey who has been coaching for 6 years from U8’s to U14’s now and was also the player/coach for 2 seasons at Swillington ARLFC. He has now moved across to Oulton and taken the reins for the ever growing Raidettes U14’s and he is looking to build on the success the girls achieved last year and keep the momentum going from the 2 friendly games they have played and won so far this term. With the Women and Girls game growing rapidly recruitment for girls’ teams across the region has seen more and more teams develop a girls section giving the U14s here at Oulton the chance to compete in more games this year. Ashley Bond the head coach for the Raidettes Women’s Team caught up with the two Team Captains for the U14s Raidettes to see how things are shaping up. Ashley: I’m here with Caitlin Casey and Katy Fisher of the Oulton Raidettes U14s girls team to ask them some questions to see how they’re getting on so far. Caitlin is the Captain for the backs and Katy the Captain for the forwards. Ashley: How long have you both played for? Ashley: How is it going with the team? Caitlin: Training seems like it’s going good, all the girls get along and work well together plus we played 2 friendlies and won them both already which is always good for morale. I think the first game was more seeing who can play where and all the new ones figuring out the positions and getting used to the game. Ashley: Caitlin you play in the no 6 shirt which is the stand off position and you’ve also been handed the role of captain for the backs how did you feel being given that responsibility? Caitlin: Quite proud really as it’s a big responsibility. Being captain of the backs is good as I can concentrate just on them and having Katy as the forwards captain splits the responsibility between us both on the pitch. Ashley: And Katy you’re no 13 and play in the loose forward position for the team and have been handed the role of captain for the forwards how did you feel? Ashley: What do you both think will be your biggest challenge this year ? Katy: For the whole team to keep at it and keep going for the wins and sticking together. Ashley: where do you aspire to play in the future? Ashley: And finally who do you look up to in Women’s Rugby League? Ashley: That’s all girls thanks very much for your time I’m looking forward to watching some of your games this season and I’ll be making sure the Open Age women and the U12’s will be tagging along to support you as well. 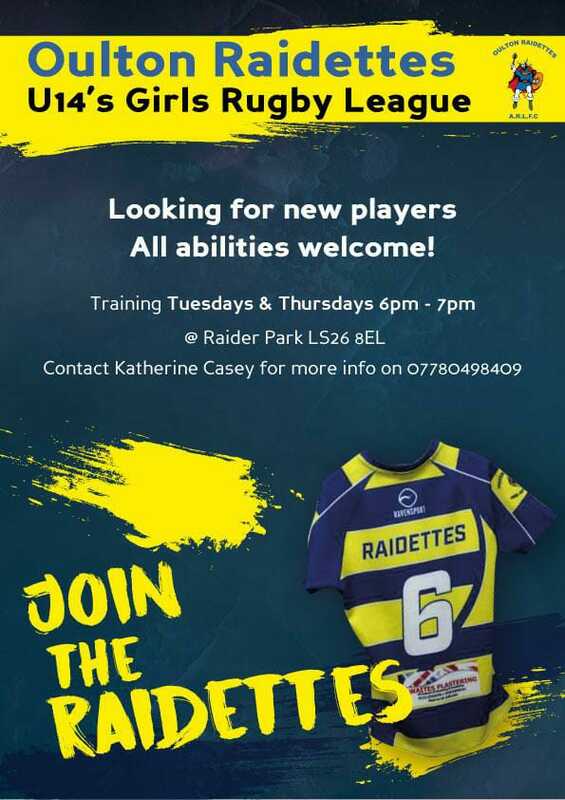 If you would like to join Oulton Raidettes U14s Girls team then go along to one of their training sessions on Tuesday or Thursday evening, 6pm-7pm at Raider Park. Thanks to Ashley Bond and all the Oulton Raidettes and best of luck for the season.